Leisure Tour of India is a special and highly in demand India tour. Cultural heritage, modern development, uniquely Indian experiences and leisurely sojourn at world-famed Goa beaches are the highlights of Leisure Tour of India. It covers six prominent tourist destinations – Delhi, Agra, Jaipur, Udaipur, Mumbai, Ajanta-Ellora & Goa. Delhi is symbol of rich historical and archaeological lineage of ancient, medieval and modern era.Agrawith three UNESCO World Heritage sites of Taj Mahal, Agra Fort and Fatehpur Sikri is a prime tourist destination. Warm welcome in traditional Indian way awaits you on your arrival at Indira Gandhi International Airport, New Delhi. Our ever smiling, helpful and friendly representative will greet you and take you to the pre-booked Delhi hotel. He will ensure smooth check in at the hotel. India is a wonderful country with lot many religions confluence and begets ever surviving cultural diversity. India is world’s second most populous nation. The country is one of the oldest living civilizations of the world. India is a vibrant and colorful democracy. Though the cultural heritage and traditional practices are deeply rooted in ancient religious ideologies, but India today is rapidly matching steps with the modern world. As most of the international flights land in New Delhi during mid-night so, after check in at the hotel, have sound sleep in Delhi hotel to get relaxed for the sightseeing tour of Delhi next day. Have delicious breakfast in Delhi hotel and proceed on for full day sightseeing tour of Delhi along with Delhi tour guide. 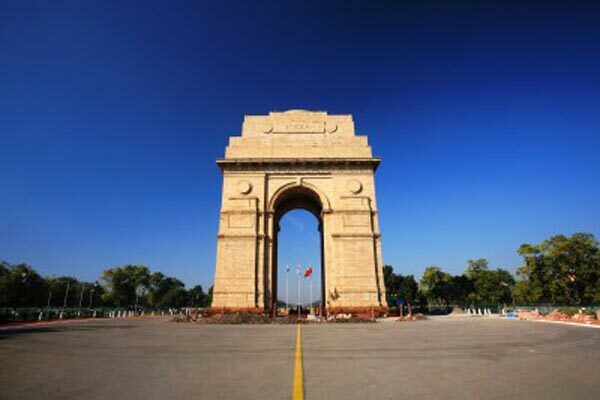 Delhi is probably the richest capital with respect to historical monuments. The history of Delhi dates back to Mahabharata era when the present day metropolis was called Indraprastha. Several archaeological artifacts have been excavated of that era. Several dynasties ruled Delhi from time to time. As a result, Delhi has been centre of political and cultural activities. This legacy can be seen and felt in the large repertoire of monuments, literature, arts, cuisines and lifestyles of its people. The Delhi tour encompasses Old Delhi and New Delhi. The sightseeing tour includes visit of Red Fort, Jama Masjid, Chandni Chowk, Parliament House, President House, India Gate, Government buildings, Qutub Minar and Akshardham Temple. After visiting famous monuments of Delhi, later in the evening, return to hotel for overnight stay. Agra, the seat of Taj Mahal, is a historical city with three UNESCO World Heritage sites. A traveler, after landing on Indian soil cherishes to watch Taj Mahal, as soon as possible. The 3rd day of Leisure Tour of India takes you to Agra to watch gems of Mughal architecture. After having scrumptious breakfast in New Delhi hotel, depart for Agra. The journey New Delhi to Agra of about 210 kms by car consumes four hours. Early noon or late morning, you will reach Agra. On arrival at Agra, you will be directly transferred to Agra hotel where our representative, accompanied by Agra tour guide, will greet you and ensure your hassle-free check in at the hotel. After relaxing a bit, proceed for sightseeing tour of Agra which includes Agra Fort, Tomb of Akbar (Sikandara) and Baby Taj (tomb of It-Mad-ud-Daula). After half day tour of Agra, watch an 80 minute long live show known as Mohabbat-e Taj Show, organized by Kalakriti Cultural & Convention Centre- the Sanskritik Natyashala. Though every traveler tries to visit Taj Mahal, the most famous monument of India, at the very outset, after reaching Agra but we are taking you to Taj Mahal on 2nd day of Agra sightseeing. This is because the Taj Mahal looks stunningly beautiful at the time of sun-rise. Also, with the blossoming of day and changing colour of sun, Taj Mahal also reflects a variation in shade. In the very early morning, approximately around dawn hours, you will be taken by Agra tour guide to Taj Mahal on a tonga (horse carriage), a medieval era means of transport. Having seen Taj Mahal at most opportune time, return to Agra hotel to refresh, relax and have breakfast. Having delicious breakfast, check out from Agra hotel and drive for Jaipur, the capital city of royal Rajasthan. But, on the way to Jaipur, you will have halts at two historical places; first is Fatehpur Sikri & second one is Abhaneri Village. Situated about 35 kms from Agra is the ghost town of Fatehpur Sikri. Fatehpur Sikri was built by Akbar on a grandiose scale to make it capital his kingdom but due to paucity of potable water made him to re-look his plans. But the gargantuan and fine monuments are still well-preserved. Have a stop-over there and visit monuments-rich Fatehpur Sikri. The famous monuments of Fatehpur Sikri include Buland Darwaja, Jodhabai Palace, Salim Chishti Shrine and Jama Masjid. After visiting Fatehpur Sikri, continue your drive to Jaipur. About 95 kms before Jaipur, is located a historical village of Abhaneri. This village tour will present before you ancient lineage of India in terms of cultural values, architectural gems and traditional rural lifestyle in villages of India. Abhaneri is a village about 95 kms from Jaipur on the Jaipur-Agra Road. A detour is well merited for its amazing stepwell or 'baoris' and Harshat Mata Temple. The village's original name was Abha Nagri and its present name is Abhaneri. Gurjar king Mihir Bhoja ruled over the Gujar kingdom in the ninth century AD. The ruins of the temple also speak of the 10th century architectural and sculptural styles. 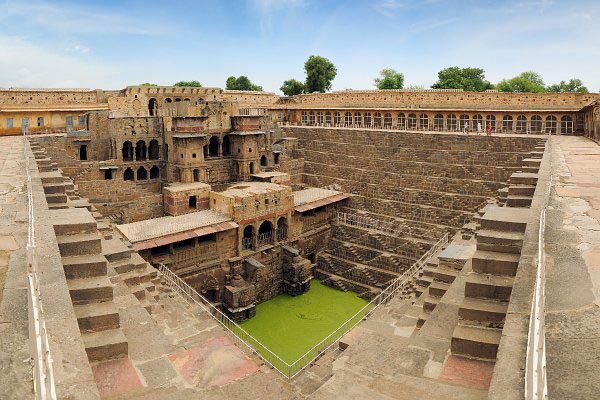 There is a huge tank named "Chand Baori", opposite to the temple fortified on all four sides with bastions for defence. Even though Abhaneri is now in ruins, the place has a distinct reminiscence about itself. After visiting Abhaneri village, move for Jaipur. On arrival at Jaipur, our representative will receive you and transfer you to Jaipur hotel. Our representative will ensure smooth check in at the pre-booked Jaipur hotel. Have relaxed overnight stay in Jaipur hotel. Jaipur, the Pink City of Rajasthan, is a historical city with numerous to be seen places to be explored. The monuments, markets, temples, cuisines etc are great legacy of incredible royal Rajasthan. The pace of the sightseeing tour will be leisurely and relaxing. Though you might have experienced uniquely Rajasthani courtesy at the time of arrival at Jaipur hotel but today you will observe and feel various cultural distinctiveness of Rajasthan, especially Jaipur. The exploration will start after delicious breakfast. Jaipur tour guide will take you to visit some iconic monuments of Jaipur, a museum and a famous temple to help you have a comprehensive peep into very cultural fabric and royal heritage of Jaipur. First you will be taken to the central part of Jaipur where you will be shown three famous monuments of Jaipur- City Palace, Jantar Mantar (stone built ancient solar observatory) & Hawa Mahal (Palace of Winds). The bustling market of Jaipur sprawls around these three monuments. After visiting these monuments, explore local market of Jaipur. Have lunch in a nice restaurant of Jaipur. Again, along with tour guide, proceed to visit Albert Hall Museum. Thereafter, you will be taken to Birla Temple to attend evening ‘aarti’. After watching royal monuments, bustling market and auspicious ‘aarti’, return to Jaipur hotel for overnight stay. Rajasthan worldwide is famous for its forts & palaces. Yesterday, you saw one of the magnificent palaces of India- City Palace of Jaipur. Today you will be visiting some of the grandiose forts of Rajasthan. Amber Fort is the most popular among them. Amber Fort symbolizes rich heritage, royal past, glorious history and refined craftsmanship of Jaipur. Mostly tourists prefer reaching the fort atop a hill by having a ride on a caparisoned elephant. Having seen Amber Fort, move for visiting Jaigarh Fort. Jaigarh Fort is still in possession of Jaipur royal family. You will find Jaipur principality’s flag hoisting when the royal family members are present in its premises. Here in after, drive for Nahargarh Fort. After forts visit, have lunch in any city restaurant and thereafter proceed to visit Albert Hall museum. Hereinafter, return to either market or explore the market. Thereafter, you will be taken to late evening to attend the evening worship ceremony of Govind Dev Ji Temple. It will be a mesmerizing experience. After visiting famous monuments of Jaipur, return to Jaipur hotel for overnight stay. Drive from Jaipur to Udaipur is long journey. If directly driven, it may take 6-7 hours. But, just spending a whole day in travelling is not a very nice and practical idea. To address this issue, we offer the tourist an opportunity to either view Pushkar or Chittorgarh on the way to Udaipur. Pushkar is a famous Hindu pilgrimage and rustic flavor all around. Chittorgarh offers an opportunity to see and feel glorious past of Rajasthan. You will depart from Jaipur after taking delicious breakfast a bit early in the morning. Depending upon your choice, you can have lunch either at Pushkar or Chittorgarh after mid-way sightseeing. On arrival at Udaipur, our representative will meet you and ensure your smooth check in at the hotel. Udaipur, known as City of Lakes and Venice of East, is second most sought-after tourist destination of Rajasthan. You will be having ample time to relax in leisure in hotel or to explore local market. Spend rest of the day at leisure or relax. Overnight stay will be at the Udaipur hotel. After full day sightseeing of monuments and markets of Agra, return to Agra hotel for overnight stay. Monuments of Udaipur are embodiment of local traditions & culture in their décor and architecture. Udaipur, with its rich mix of culture and heritage, is a perennial traveler’s favorite. Gracious and grand monuments of Udaipur are living history in stones. The whole day is reserved for sightseeing tour of Udaipur. Have scrumptious breakfast in the hotel and proceed with Udaipur tour guide to visit famous monuments of Udaipur which include City Palace Complex, The Jag Mandir, Saheliyon Ki Bari, Bagore Ki Haveli and other picturesque spots of tourist interests. After relaxing for some time, the Udaipur tour guide will take you for leisurely and relaxed sightseeing (Lake Palace/ Jag Niwas Palace) while having boat ride in Lake Pichola. After boat ride in Lake Pichola, you will be visiting Bagore’s Haveli and therein enjoy puppet show. Having enjoyed cultural show, return to Udaipur hotel for overnight stay. After early breakfast at the hotel, transfer to Udaipur airport to board flight for Mumbai. On Mumbai arrival you will be met by Optima Travels representative, holding a placard with your name on it at the exit. Transfer to hotel, relax a bit and then move for sightseeing of Mumbai. Sightseeing of Mumbai includes Gateway of India, Prince of Wales Museum (closed on Mondays), Marine Lines and Mani Bhawan (Where Mahatma Gandhi used to stay). Also drive past Afghan church, Flora Fountain (Bombay nerve-centre), colourful Crawford Market and Marine Drive. After sightseeing tour of Mumbai, return to Mumbai hotel for overnight stay. After early morning breakfast in the hotel, proceed to Mumbai airport to board the flight for Aurangabad. Upon Aurangabad arrival, meet Optima Travels representative at the exit. There itself, you will be introduced with Ajanta tour guide. From airport, you will directly be driven to Ajanta to visit Ajanta cave temples. The UNESCO World Heritage site Ajanta, located in Aurangabad district of Maharashtra, was chiseled out, carved and painted during 200 BC to 650 AD. The architectural marvel of India, Ajanta cave’s, a Buddhist chapel, engravings and paintings depict the story of Lord Buddha and Buddhism religion. After sightseeing tour of Ajanta, return to Aurangabad to have overnight stay in Aurangabad hotel. 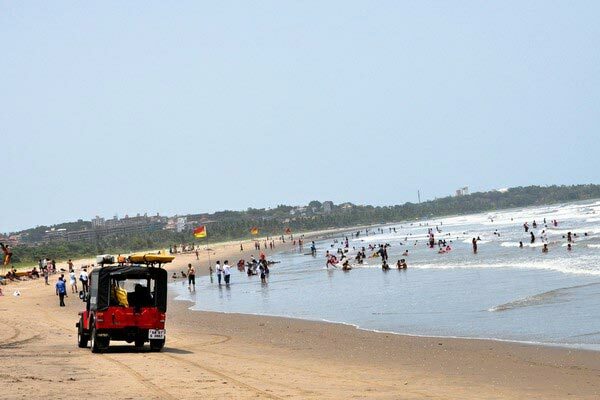 Have breakfast in Goa hotel and spend the rest of day in leisure on the beaches of Goa. Overnight stay has been scheduled in Goa hotel. Have breakfast in Goa hotel and spend day in leisure on the beaches of Goa. If you are willing for sightseeing of Goa, a half-day sightseeing of Goa is also on the cards which will cover historical monuments and lively street market of Goa. Overnight stay is scheduled in Goa hotel. Enjoy the morning in Goa and in early afternoon, depart for Goa airport to board flight for Mumbai. On arrival at Mumbai, board international flight for your onward destination.